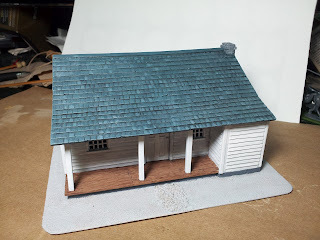 As you can see I have finished off the washes on the roof and house proper, I went over with highlighting, then randomized some individual roof shingles to make it pop out a bit more and not look so uniform. 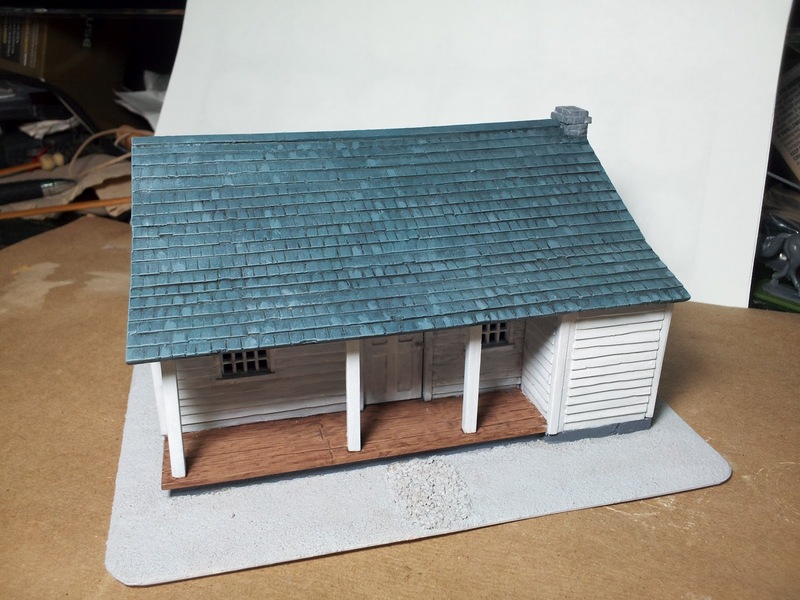 There is shading on the house itself with highlight that you may not be able to see in the picture, it was a very light gray wash and of course highlight back up to white on raised areas. Picture of front of house. Here is a video of the house with work in progress, I may do touch up depending on how clean I want the house to look. Place in vegetation like grass bushes and some wooden barrels. Put some wear and tear in the porch perhaps or just leave it. Add in little things like chairs, chickens, etc. Matt Varnish the whole thing.